Police and police vans stand in a roped-off area at a Christmas market close to where an explosive device was found earlier in the day on December 1, 2017 in Potsdam, Germany. 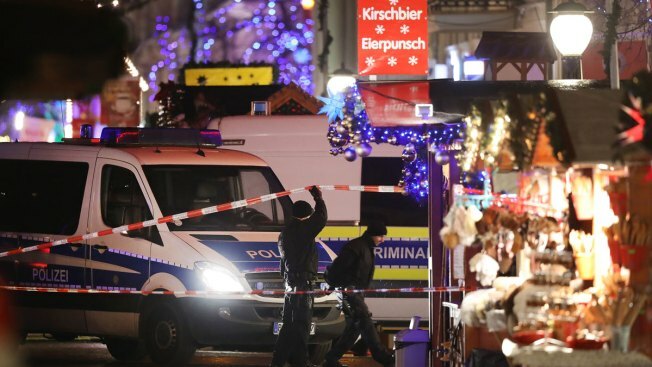 Authorities on Friday defused an explosive device found near an outdoor Christmas market in the German city of Potsdam, near Berlin, Reuters reported. The development comes nearly one year after 11 people were killed when a Tunisian Islamist hijacked a truck, killed its driver then rammed the vehicle into a Christmas market. In Potsdam, police said a suspicious object had been delivered to a pharmacy. It contained suspicious wires and electronics, according to a local newspaper.